Christmas is 4 days away…what?! Wow!….Is is just me, or did this year go by in warp speed? Christmas morning breakfast in my family is a BIG deal! It is one time of year we can count on everyone one in my family being there for breakfast, so my mom always makes a delicious breakfast- and lots of it! 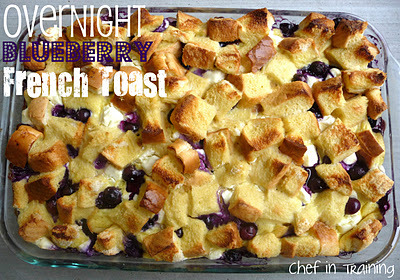 Overnight Blueberry French ToastThis is perfect because you throw it together the night before and just plop it in the oven in the morning! 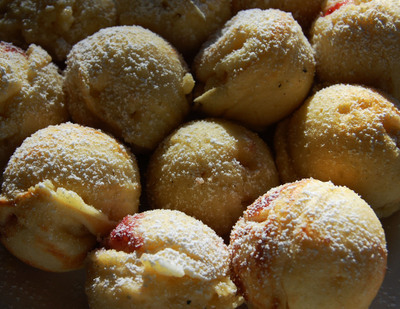 It is super simple to make and refrigerates overnight! 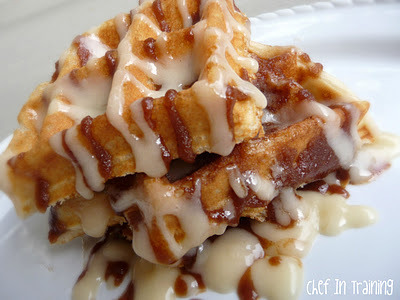 Cinnamon Roll meets waffles…need I say more?! My family DEVOURS this breakfast! My mom always makes at least 2 because it goes so quickly! MMM! This is one your family is sure to LOVE! My grandma makes these all the time. Surprisingly, I married a man who shares this same yummy breakfast tradition in his own family! We LOVE these! If you haven’t tried (or heard) of these, you will have to! 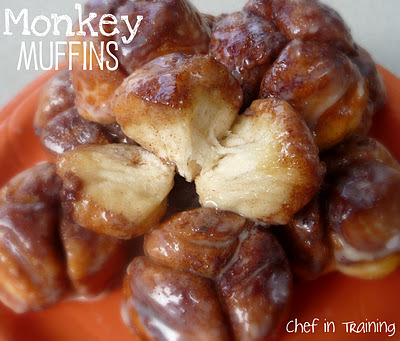 These yummy little things whip up in 15-20 minutes start to finish and taste absolutely AMAZING! 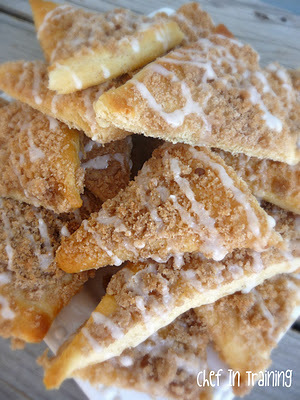 These are SO easy to make, completely delicious and are so neat looking when they come out of the oven! 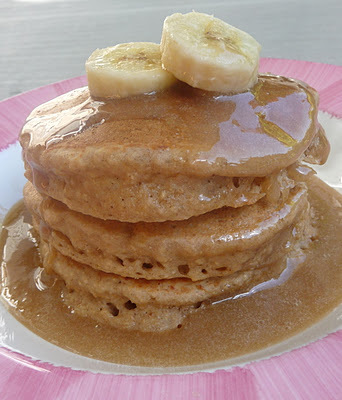 If you love banana bread, you are going to LOVE these pancakes! These delicious personal sized portions are so EASY to make. Really, no mixing required! I hope some of these breakfast ideas are able to bring some yummy joy to your Christmas breakfasts! what an amazing array of goodies!!!! i am loving the cinnamon waffles and the blueberry french toast and...i do believe that 2 of these will be part of Sunday's breakfast along with popovers with fried eggs and creamed spinach (all from scratch) something for everyone! thanks for sharing and peeking my imagination!!! you rock! holiday hugs! Thanks for posting these! We do mimosas, sausage and egg breakfast casserole and make donuts out of refrigerated biscuits in the fondue pot for the kids. :) I've tried the blueberry casserole...it's quite tasty! Oh My GOODNESS!!!! 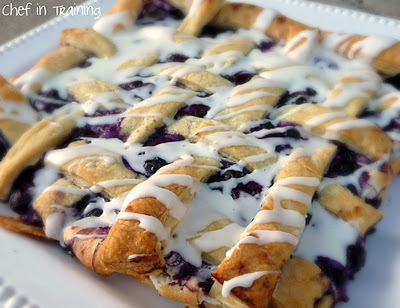 can I come over for Breakfast... EVERY morning... :) this looks so VERY good and I am such a HUGE Blueberry fan.. 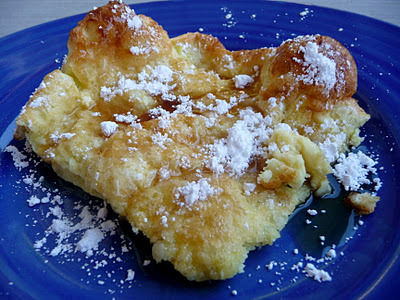 I made a delicious Sunday brunch at the beginning of November (pictures at the bottom of this post: http://foreverandarecipe.blogspot.com/2011/11/diy-elephant-art.html) with sausage and cheese croissants, french toast souffle, and quiche! It was delicious! All things that would definitely work for Christmas brunch! Mmm! Oh my! I think I just drooled a little! This all looks amazing... what to choose? Oh boy, what to make,what to make???? I am leaning toward the blueberry danish puff. Too many yummy choices! I can't make up my mind ;). Oh man, that gives me some tasty ideas for next year!